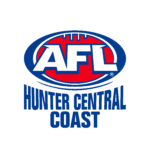 The Sydney Swans Academy has capped off an impressive 2018 NAB AFL Academy Series campaign, defeating the Gold Coast Academy by two points in Round 5. There was less than a goal in it at every break of this final round match, with the scores tied-up at 39 points apiece going into the last term. 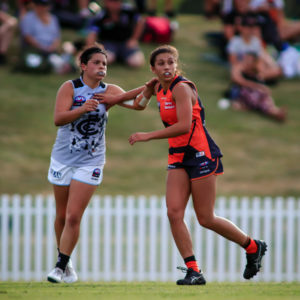 Both sides had more than enough opportunity to win the match in the fourth quarter, the Swans missing five shots on goal that would have seen them run away with victory. 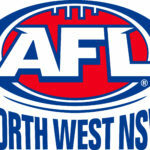 It would be Hamish Ellem who would thump a long-range goal for the Swans, who would end up getting them across the line. 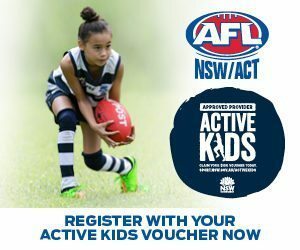 Following the match, Nick Blakey was named the Sydney Swans’ Player of the 2018 NAB AFL Academy Series after kicking 18 goals from four out of the five Academy Series matches this year. 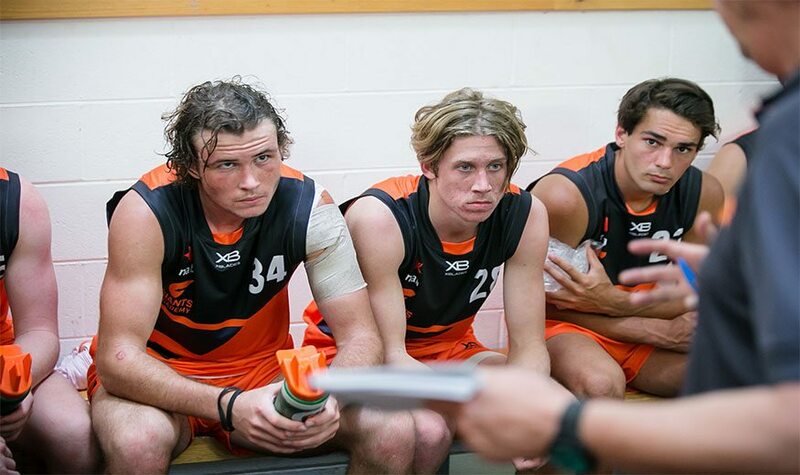 It was always going to be a tough ask for the GIANTS Academy to overcome the undefeated Tasmanians in Kingston, in their final encounter of the 2018 NAB AFL Academy Series, and a strong showing by the home side proved this to be true. The GIANTS kept in touch with Tasmania before they let their grip go in the ‘Premiership quarter’, going into the final term with a 21-point deficit. James Peatling had peppered the goals all afternoon, putting three on the board for the visitors, however, he was shutdown when they needed him most in the last quarter, unable to goal. 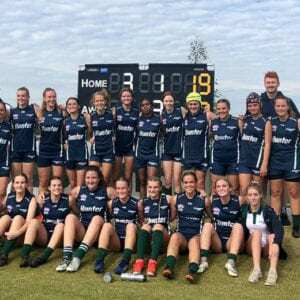 In the end, the Tasmanians would run away with a 42-point victory at home, meaning they had completed an undefeated 2018 NAB AFL Academy Series campaign, taking home the Series title. 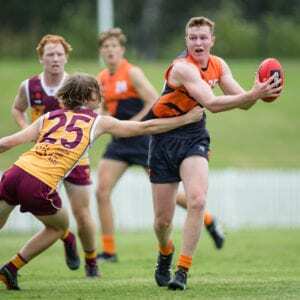 GIANTS ruck, Kieren Briggs was named the GIANTS player of the 2018 NAB AFL Academy Series.